I received a nice email today from Lauren McGrath who recently launched a style blog with her mother, Good Bones Great Pieces. She works for a fashion magazine in New York and her mother Suzanne is an interior designer and former Martha Stewart Living TV producer and both admit to being huge decor8 fans, yay! After browsing their blog this morning I decided to make them the blog of the week to drive a little traffic love in their direction so I hope you will go visit Good Bones Great Pieces. 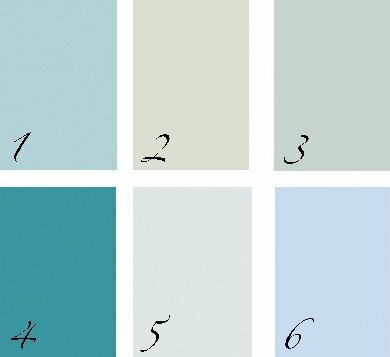 Here's a post that I found that I think will lure you over... it highlights the Best Blues to use on your wall. The entryway in Suzanne's home is in Donald Kaufman’s DKC-29. 1. Farrow and Ball Blue Ground (210) 2. Farrow and Ball Pale Powder (204) 3. Benjamin Moore Heavenly Blue (709) 4. Sherwin Williams Gulf Stream (SW6768) 5. Benjamin Moore Iceberg (2122-50) 6. Benjamin Moore Windmill Wings (2067-60). 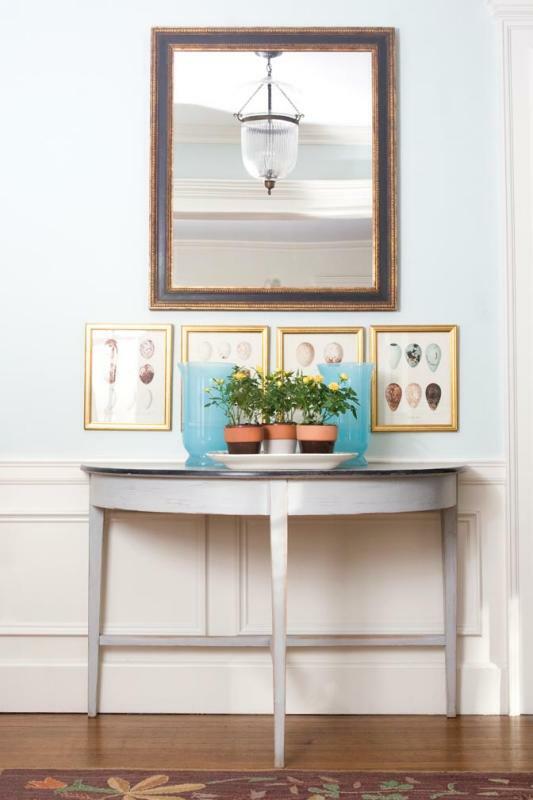 Do you have a favorite blue and a photo to show the color in a room?